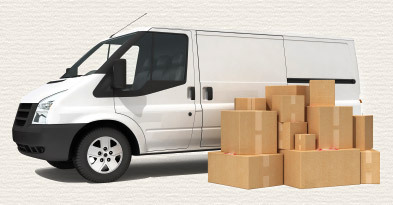 Do you know there are many different ways of getting your products delivered? These prices are for Monday – Friday delivery. Friday the 13th, in western superstition, is considered an unlucky day. It befalls when the 13th day of the month, in the Gregorian calendar, falls on a Friday; and this day can occur up to three times in the same year! In 2018, it is occurring tomorrow and July 13. Paraskevidekatriaphobia is the scientific name given to the fear of Friday the 13th. It is born (or transmitted) after learning that Friday the 13th is the day of the bad luck and the learning of the terrible events that took place on this day. It is easy to catch this illness if a family member or someone close dies on Friday the 13th; it will be assumed, by the victim, that the next Friday 13th or the one after could be their last day. There are many sufferers that stay in their beds, on Friday the 13th, trying to sleep for that whole day; but fail to do so, in case they would die in sleep. Other people travel to remote places and away from society and avoid driving. How would you know if anybody is suffering or you? If a person, on this day feels fear, have heart palpations or are feeling separated from reality, then this is a sign of this dreadful disease! It’s always wise to keep safe every day. Using the right suction hose, in the industrial workplace, death can be avoided. In an industrial work environment, dust control is an extremely important aspect of health and safety. Without ducting, for dust or even emission extraction, a workplace can lead to serious health problems to workers. A proper air extraction hose is important to have, go extract both micro and larger harmful particles away from the workplace. Dust from vehicle exhausts, cutting or sanding, of various materials, for example, wood, can be very hazardous health leading to permanent health respiratory issues like asthma or even slow death. For example, many species of wood are known to contain toxins which can lead to nasal cancer and shorten a person’s lung capacity. A quality air extraction hose, such as Masterflex BF, Master Clip HT for high-temperature gasses, that efficiently collects these harmful particles, will create a safe workplace. A Young Girl has been Spotted using Ingenious Way Of ‘Escaping’ From British Storms, on her Camping Trip, Using Length of Flexible Ducting Pipe! Camping is an enjoyable way of spending time in nature, absent from the noise and strains of day to day life. However, setting up a tent can allow you to think twice about packing and unpacking your tent and other belongings. It takes at least two people to pitch most tents easily while having to deal with the wind, cold, rain and the possibility of running into possibly unsafe animals. Thanks to Valentina, Campers have praised her ‘ingenious idea’, of using a length of Flexible ducting pipe and hoped the method would be a success for them after more than 100 people viewed her ‘flexible hose camp’ while she was camping at Bryher Campsite, Isles of Scilly. Is this the hilarious way ever, or is it the most ingenious way, to escape out to the countryside, enjoy the snow and hide from the storm; all so cheaply? We do all love comfortable camping or doing anything to make camping a low-cost hobby in the first place, this girl’s humorous camping ideas is definitely worth a watch! A picture of what truly looks like an aircraft air-conditioning ducting / hose shows a yellow shelter on a camping ground the perfect way to escape from the cold. Valentina can be seen, smiling, on the beach, looking at her flexible vinyl ducting pipe, often used in heating, air-conditioning and ventilation systems. As she gets ready for home, Valentina compresses her ‘flexible tenting hose’ and simply places it onto her beetle’s roof. As if by magic, the ingenious Valentina disappears from the campsite, in less than a minute, with other people around her smiling in amusement. Some tweets even suggested the insulating quality of the material, portability and speed of putting up the tent, could stop unexpected extreme weather conditions, such as one found on the north pole. We don’t think business would find this an April Fool’s Joke, and we’re sure they’d soon be in ‘hot’ pursuit of Valentina’s idea. Flexible hoses / ducting with an external helix. Size range 50mm to 900mm. Temperature range -260°C to +1100°C. If you would like a quote on any of our products, please click on the button below and complete the online form, alternatively, please call us on 0161 626 8066. For more product details please visit Masterflex. Easter Nests, Eggs & Facts – Hoses for the Food Industry. The first chocolate egg was born in 1873, in the UK, by. J. S. Fry & Sons, Ltd of Bristol. This was a British chocolate company owned by Joseph Storrs Fry and his family. In 1847, Fry’s produced the first solid chocolate bar. The company also created the first filled chocolate sweet, Cream Sticks, in 1853. It became a division of Cadbury in the early 20th century. The original Somerdale Factory was closed, after 2010, where the first chocolate egg was born! People traditionally roll painted eggs down steep hills, as a game, on Easter Sunday. In the UK, children compete to see who rolls their egg the farthest. Easter Eggs are a symbol of new life and the gesture of giving eggs, at Easter, has been traced back to the Ancient Egyptians, Gauls, Persians and Romans. Every child in the U.K on average, according to a survey, receives £56 worth of chocolate eggs or presents; and 8.8 Easter Eggs, on average, are received per year by every child in the UK. The first Easter baskets looked like bird’s nests. The Easter Basket ritual has its origins in the German folklore of the Easter Hare. According to a German legend, for kids to come and gorge on them on Easter morning, a white hare would leave Easter baskets filled with candies, brightly coloured eggs and other goodies. Flexible Hose and Flexible Ducting manufactured from clear polyurethane, PU material, for applications in the food industry. The materials used comply with the relevant EC and FDA directives. If you would like a quote on any of our products, please click on the button below and complete the online form, alternatively, please call us on 0161 626 8066 or visit Masterflex for more product details.